In 1986, a game that would come to be known as "The Legend of Zelda" was released in Japan. It followed a boy named Link as he fought battles and solved puzzles in the land of Hyrule, as he attempted to collect the eight fragments of the Triforce of Wisdom in order to rescue the Princess Zelda from the evil Ganon. Who would have guessed, 25 years later, that the little game about a boy, his sword and his efforts to save a princess would also save other boys and girls from depression and boredom as they, too, fight the biggest battle of their young lives? A handful of students from Georgia Tech did. From December 17-21, 2011, 'GT' also stood for "Game Tech," as six college-age students converged in an Acworth, Georgia, basement to unite for one noble cause: To play eight Zelda games for however long donations kept them going, all to benefit charity. 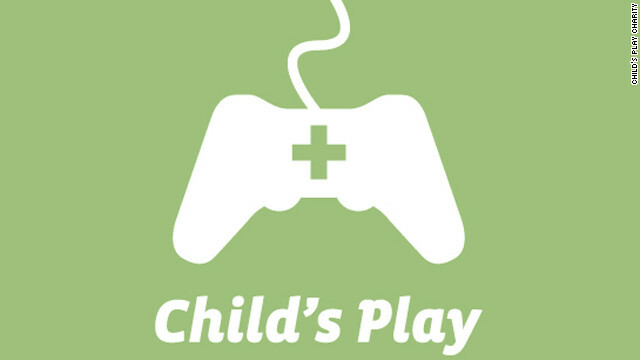 Founded by the "Penny Arcade" web comic creators in 2003, the Child's Play Charity is dedicated to making life better for sick children by providing toys and video games in more than 70 hospitals worldwide. Since its inception, the organization has raised millions of dollars. For Geek Out! contributor "Dammit" Liz Smith, Child's Play has a personal meaning. As a child with cancer at age 11, she spent much of her time in isolation at the Seattle Children's Hospital. "I was sick and I was alone for much of the time," she says. "My parents had to work and my siblings had school." Then the hospital acquired a Super Nintendo console with one single game: The iconic "Super Mario Bros."
"Video games were more than just 'watching a movie,' you know?" Smith explains. "It had involvement. I wasn't passively experiencing life anymore." Geeks often have trouble fitting in, let alone a sick child battling cancer. For Smith, playing video games also helped her feel "normal" whenever she arrived back at home. "I was pale and bald...talking video games with my friends made me feel normal when I was home." As for the Zelda-obsessed students – Ryan Adams, Joey Dolensky, Ryan Hoffman, Nick Ranallo, Justin Rowe and basement-provider Peter Sohl – their annual gaming delirium began with the idea of simply doing their part to spread their love of Zelda and video games to children who need them most. In 2008, the "4/48 Zelda Marathon" began with four of the current participants attempting to play four Zelda games in 48 hours. They finished in just over 44 hours, streamed the whole ordeal, and raised $400. This year, two additional players entered the challenge and the number of Zelda games doubled to eight, but the "4/48 Zelda Marathon" moniker stuck. Since it began three years ago, the friends have raised more than $3,000 for Child's Play Charity. This most recent marathon, however, exceeded that three-year total, raising just over $4,100. The group set up a U-Stream Live account so anyone, anywhere could log on and watch at any time. As a result, a few teams from Australia joined in the U-Stream, playing alongside the guys from Georgia and raising money for the same cause. The Zelda marathoners' $4,100 helped Child's Play reach $2.9 million in donations for 2011. Playing games for a good cause hasn't just been a recent, Zelda-only phenomenon: The Mario Marathon will be in its fifth year this summer, having raised more than $235,000 since 2008. This weekend, from January 5-8, the 10th annual Music and Gaming Festival, also known as MAGFest in National Harbor, Maryland, will hold a charity auction with all proceeds benefiting Child's Play. Last year, more than $5,500 was raised. Perhaps the most obscure - yet most successful - Internet gaming marathon is the Desert Bus for Hope, which began in 2007. The oldest of its kind, it's an organization Dammit Liz has volunteered with for the past few years. Desert Bus uses what the group calls the "worst game ever made", a never-released Sega game called "Penn and Teller's Smoke and Mirrors," for its charity mission. "In it a player controls a virtual bus that drives an eight-hour-long strip of highway between Tucson, Arizona, and Las Vegas, Nevada, on an endless loop. The difficulty is that the bus lists slightly to the right and must be constantly corrected or it will crash," the website explains. It also says to "maximize the pain and suffering" of the various Desert Bus teams, five "drivers" play the horrid game for 24 hours at a time and for as long as donations keep rolling in to get them to the next hour of play. Since 2007, the Desert Bus for Hope marathon and auction has raised more than $400,000 for Child's Play Charity. Incidentally, those Georgia Tech students aren't the only ones with a love of marathoning Zelda. The Child's Play Zeldathon began December 29 and will run through January 5 and has already exceeded its goal of $10,000. So, the next time your spouse or partner or mother chastises you for playing too many video games, just tell them you're gearing up to help better the lives of sick children – and then go out and do so, for all the kids who can't. We have a conveniently located 50,000 square foot warehouse in Virginia for your logistics needs that include picking and packing, fulfillment, warehousing, secure warehousing, specialty warehousing and specialty fulfillment at . I'm impressed of geekout.blogs.cnn.com , I need to say. Really not often do I encounter a blog that's each educative and entertaining, and let me inform you, you have got hit the nail on the head. Your concept is outstanding; the difficulty is one thing that not sufficient people are speaking intelligently about. I'm very blissful that I stumbled throughout this in my seek for something regarding this. Save them from "boredom"? Oh my. Obviously you've never been a sick kid stuck in a hospital. Parents can't stay with you 24/7, and nurses are too busy being, well, nurses to talk to you. A game system and some art supplies go a long way to lift spirits. "Incidentally, those Georgia Tech students aren't the only ones with a love of marathoning Zelda. The Child's Play Zeldathon began December 29 and will run through January 5 and has already exceeded its goal of $10,000." I heard that it was mentioned, followed a link and it made my day. I am glad to have been a part of a great charity. Child's Play is a great charity. There's a lot more to it than video game marathons, though. You can donate games directly to the participating hospitals through Amazon wish lists – meaning it's a very transparent, low-overhead way to give to sick children or the hospitals they're in. I donate a console and some games every year. The wish lists are usually pretty reasonable, with a good range of price options. They often include books and DVDs as well as video games and consoles, in case you want to give but aren't really a video game kind of person. You get a letter from the hospital after they receive the items, so that you can take a deduction on your taxes. The only major caveat to be aware of is that the Amazon items must be new, not used – otherwise the hospital would need to waste resources to sterilize stuff. Is this accurate? I would assume they would need to sterilize new games as well. I don't envision video game production warehouses to be sterile environments. Another good gaming marathon streamed on UStream for Child's Play is Mario Marathon. In four years, they've raised $235, 908, with $112, 675.62 of that being from last year's marathon. They typically run their marathon in June/July, and are not only playing for a good cause, but are vastly entertaining while doing so, with the donations determining how many of the 786 levels they play. Last year they made it through 774/786 levels. You can interact with the guys on Twitter and via the chat on UStream too, which really makes it personal and more enthralling as the guys conquer levels and the donations keep coming in. Yay for Desert Bus for Hope, my favorite charity event.